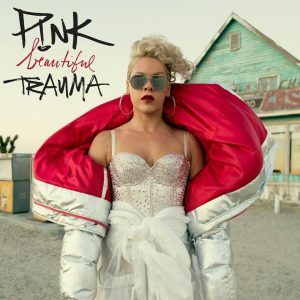 Don’t freak out too much when you hear this news, but today, PINK released her latest music video ‘What About Us‘ and announced the title of her new upcoming album ‘Beautiful Trauma‘. P!NK released a hint about her new song and video about two weeks or so ago. Don’t miss P!NK’s new song (What About Us), her new album (Beautiful Trauma), and let’s hope for a concert tour too! She simply wrote the date ‘8/10/17’ and the words ‘WHAT ABOUT US’ on her Facebook post. It turns out that the date is the day of the new song’s release and its video. The words ‘WHAT ABOUT US’ is obviously the name of the song. You can find her new video below! Her new album ‘Beautiful Trauma’ has an expected release date of October 10th, but if I know PINK fans, they’ll start pre-orders today if they can. PINK’s home life has been quite busy the last few years, she’s now a mom to two beautiful children, yet still finds the time to write her music and perform. She just put on a gig at the beach in Atlantic City NJ and it drew in over 50,000 people. That was before this ‘new music’ announcement too. Just goes to show you how hungry her fans are for new music (although don’t get me wrong, her present library of music is amazing). So check out her new video below and comment what you think. Watch for her new album to be dropped on October 10th (although I would order it as soon as you can) and then let’s all hope for a year end P!NK concert tour that continues into next year.